Now, her mother Laurel Mack is trying to put her life back together. 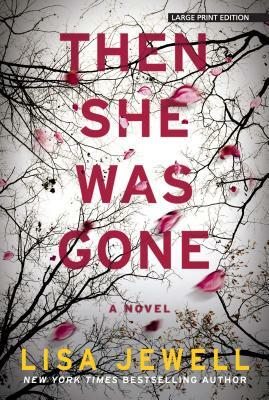 It's been ten years since her daughter disappeared, seven years since her marriage ended, and only months since the last clue in Ellie's case was unearthed. So when she meets an unexpectedly charming man in a caf , no one is more surprised than Laurel at how quickly their flirtation develops into something deeper. Before she knows it, she's meeting Floyd's daughters--and his youngest, Poppy, takes Laurel's breath away. Because looking at Poppy is like looking at Ellie. And now, the unanswered questions she's tried so hard to put to rest begin to haunt Laurel anew. Where did Ellie go? Did she really run away from home, as the police have long suspected, or was there a more sinister reason for her disappearance? Who is Floyd, really? And why does his daughter remind Laurel so viscerally of her own missing girl?